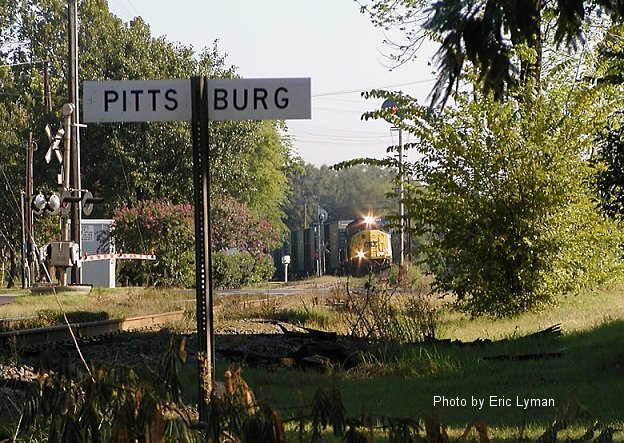 A southbound UP auto train crosses the KCS diamond at Pittsburg, TX at about 7:45 a.m. Sunday, September 7. This train is running on the former SP/SSW route between Texarkana and Big Sandy, TX. It may be CSX power, but it is a UP train!